The Phillies aim for a series win on Sunday in the final game of a three-game set with the Minnesota Twins at Citizens Bank Park. The Phillies at 5-2 are off to their best start since 2011. The driving force behind the Phillies success thus far has been the offense. Entering Sunday, the club has four players who have an OPS over 1.000 in Bryce Harper, Maikel Franco, Rhys Hoskins, and Andrew McCutchen. Harper actually leads the league, sporing a mark of 1.479. Zach Eflin will be on the mound for the Phils. He struck out a career-high of nine in last start out where he tossed five scoreless innings in a win over the Nationals down in Washington. The Twins counter with Jose Berrios who tossed seven innings in his first outing of the season, surrendering three runs on seven hits with four strikeouts. 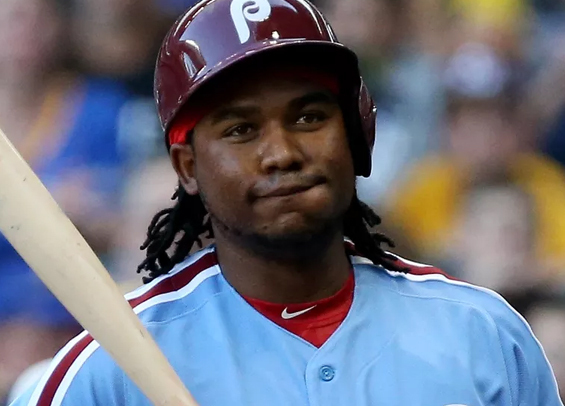 Maikel Franco enters play today one hit shy of 500 for his career ... Franco has nine walks on the season, he didn't record his ninth walk last year until May 23rd. Attendance wise, the Phillies have drawn 203,190 fans over their first five home games this season. That total is the highest through five games since 2012 when the club drew 226,863.